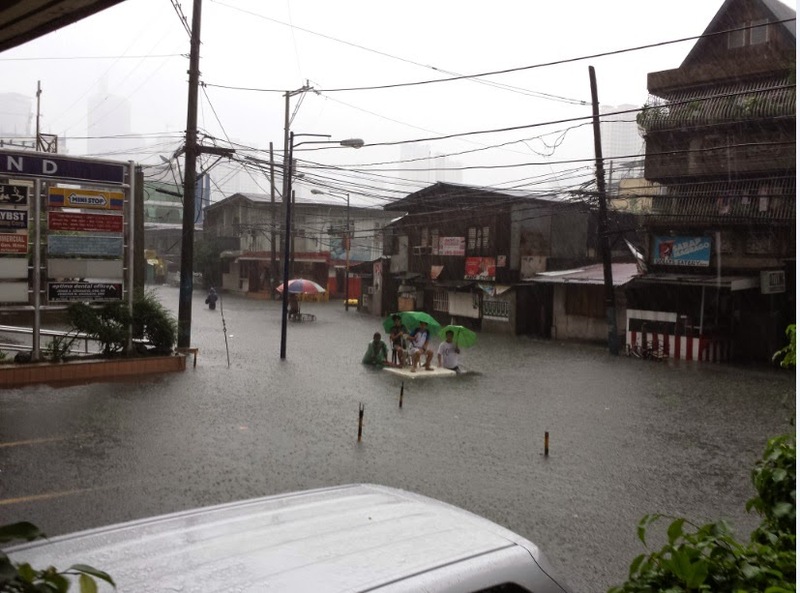 MANILA, Philippines - Heavy rains due to Typhoon Mario on Friday, September 19, 2014 triggered severe flooding in several areas of Metro Manila. Netizens were worried as it may cause 'Ondoy-like' floods as experienced in 2009. 'Ondoy Part 2' tweets flood social media news feeds exactly a week before the fifth anniversary of tropical storm Ondoy. As a result of heavy flooding, some streets were closed to vehicular traffic, the Metro Manila Development Authority said. 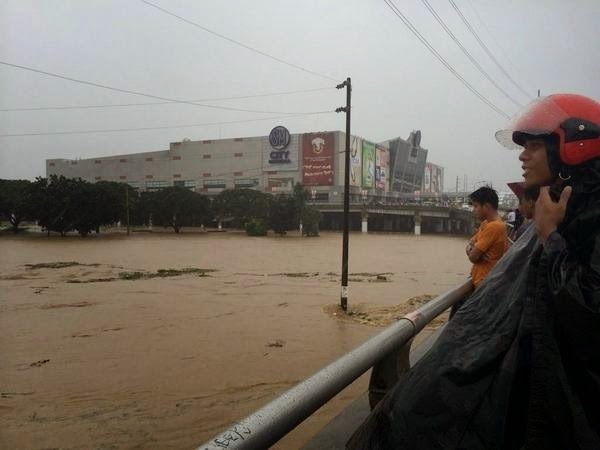 MMDA said parts of the Epifanio de los Santos Avenue (EDSA) were flooded. PAGASA on its 9:00 a.m update had raised the "red" warning alert over Metro Manila, Rizal, Bulacan, and Laguna, warning residents in those areas to expect severe flooding. "Orange" warning was raised over Zambales, which meant that residents were to expect floods to threaten. A "yellow" alert was given over Bataan, Cavite, Batangas, and Quezon, signalling to residents to expect possible floods in low-lying areas. Meanwhile, light to moderate with occasional heavy rains now affecting Pampanga, Nueva Ecija and Tarlac which may persist within 3 hours. As the classes and work were suspended in several areas on Friday, netizens have resorted to post photos on Twitter and Instagram of flooded streets and their homes.